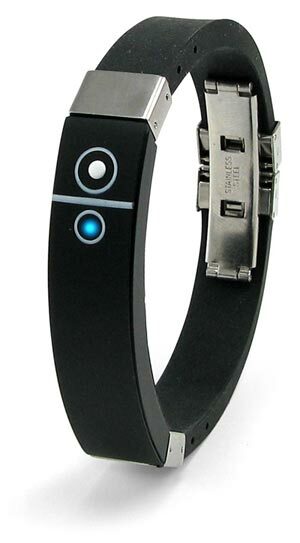 Check out this fun gadget, the BlueAlert Bracelet. Your cellphone is sitting at the bottom of your bag, or perhaps lost in the cavernous folds of your jacket pocket. With the noise of the environment around you, you’ll never hear it ringing. Maybe it’s your girlfriend saying she wrecked your car, your mom informing you of an unexpected inheritance, your roommate telling you that Ed McMahon’s waiting for you at your apartment with a giant novelty check, or Jessica Alba asking you out on a date (hey, it could happen). The bottom line is, when your phone rings, you had better know it, ’cause you never know who’s calling. The BluAlert bracelet uses Bluetooth technology to buzz discretely on your wrist when your phone rings. Even in the loudest room, or the most boisterous dance-floor, you won’t miss it when BlueAlert goes off. The BlueAlert Bracelet is available to buy online for $49.99 ThinkGeek.